With our free billing statement template, you won’t have any problems regarding any billing issues which you need to keep track of, especially when it comes to the statements that you might forget or lose along the way. This document is very helpful, especially to certain cardholders or company holders. Each billing statement is issued at every end of the month, for most companies and it helps in giving you information regarding any recent transactions that you might’ve made. Our free billing statement template offers you the best when it comes to data that needs to be written down in order to be checked properly. It’s very easy to understand and even easier to use so it’s great to have it in order to practice productivity with yourself. 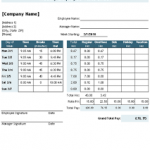 The billing statement template that we offer to you is very simple in its form. It’s also easy to look at and pleasing to your eyes, which is a huge advantage to business people, especially when you’re exchanging certain documents with other people. Not only is it pleasant to look at but it’s also very easy to use because everything you need is already there in the document. 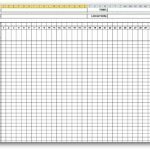 Now in the template itself, there needs to be specific information inputted in order for the form to serve its purpose. The information needed is the company name, the address of the company, the city, state, zip code and phone number. With this, you’ll be able to easily approach the company regarding your billing statements. Also on the right side of the form itself, there’s a space meant for the number and the date of when the document was issued. On the next part is the information regarding where the remittance should be issued to. This involves the name of the customer, their address, their city, their state, their zip code and their contact information. This is very important and the data inputted should be very clear and concise so that there won’t be any trouble regarding duplication or that sort of thing. There is also a space meant for the amount issued and the amount enclosed. On the lower half of the billing statement template is the table. This is where everything, regardless of how little or insignificant the details might seem, should be placed into. What type of information should the table require? Simple. You need to have the date of when the billing statement was issued, the type, the invoice number of the billing statement, the description of the billing statement, the payment you gave and the exact amount along with the remaining balance. The template is very helpful in keeping track of the payments you have due left and it’s also to help keep track of how much you have left in order to pay. With this, you’ll be surely lessened with the problems of having to deal with overdue payments and etc.